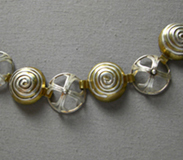 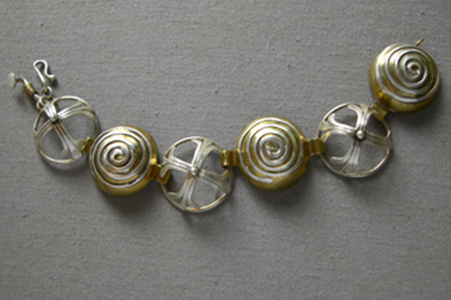 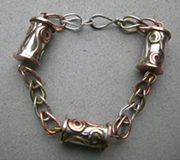 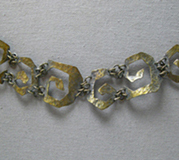 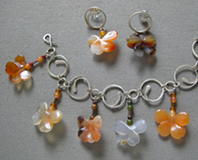 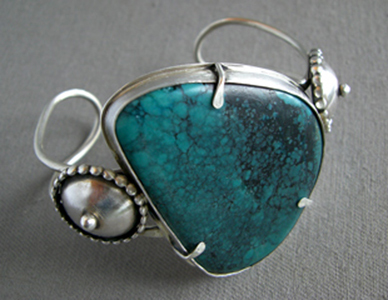 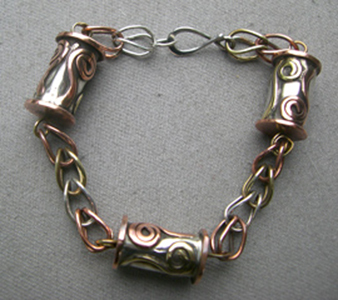 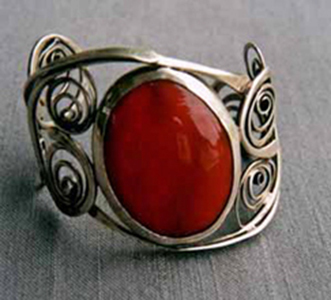 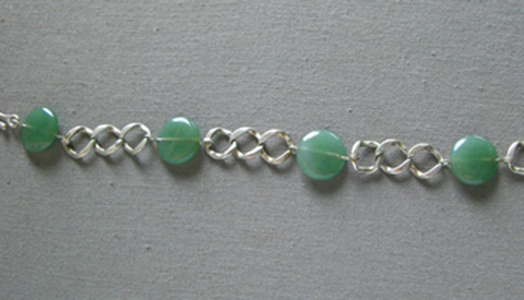 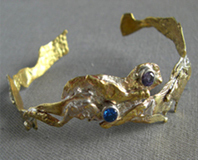 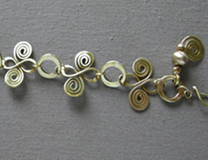 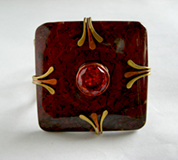 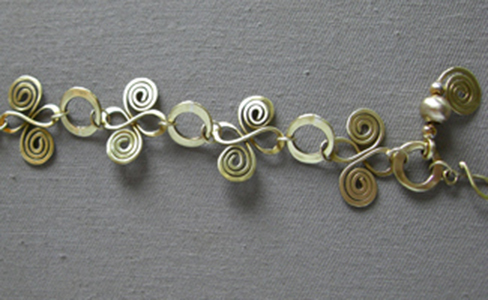 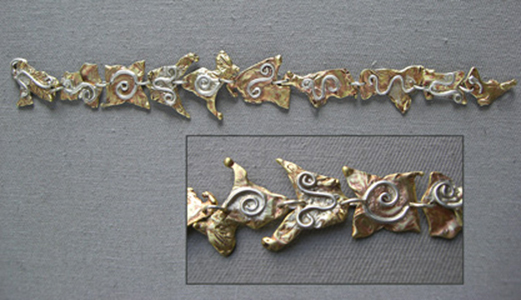 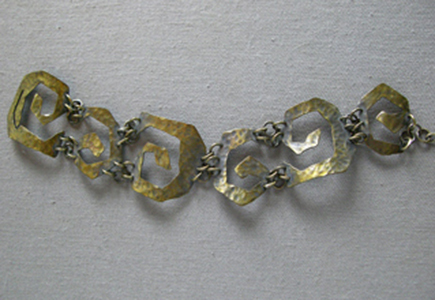 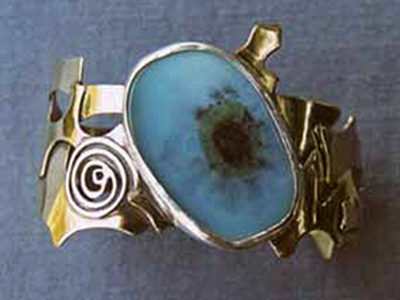 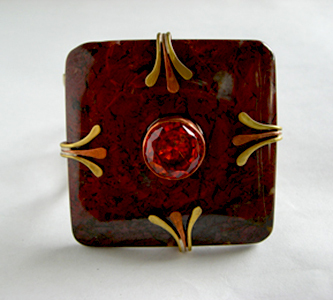 The bracelets are made by using techniques in fusing, forging and bending wire to create links. 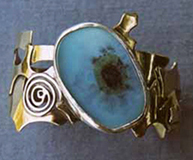 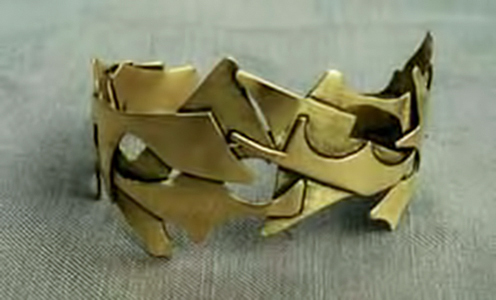 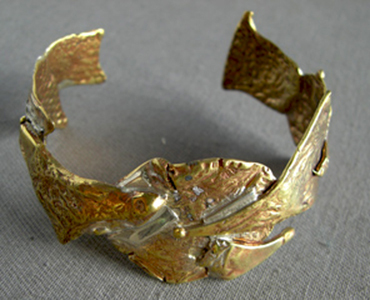 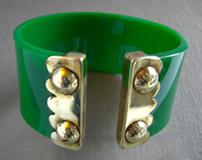 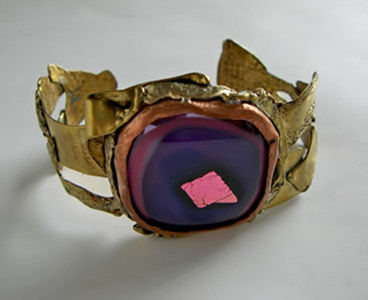 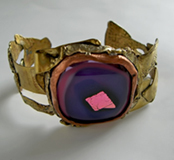 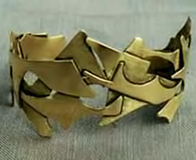 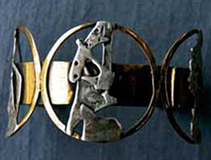 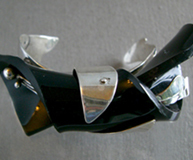 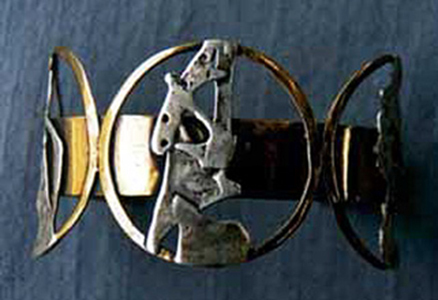 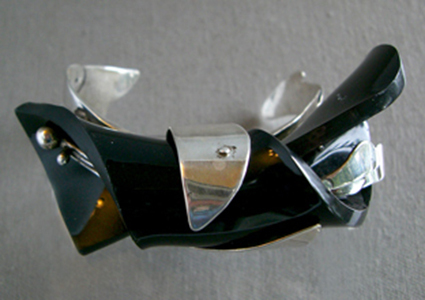 Cuff bracelets use similar processes. 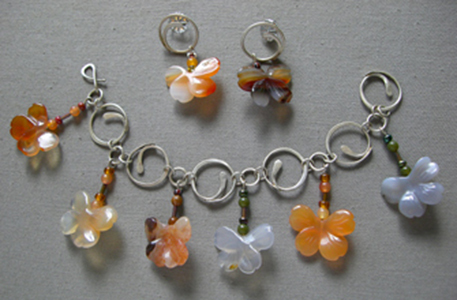 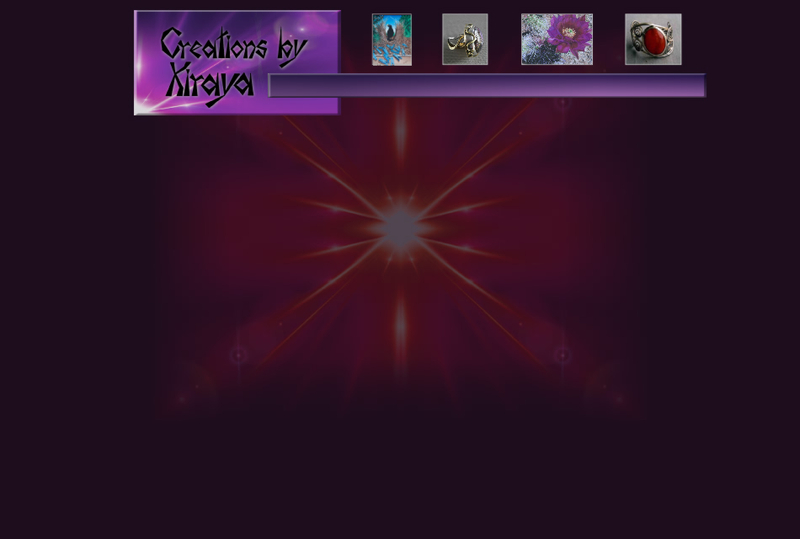 I hand make some of the beads, other are stone, fossil, or glass. 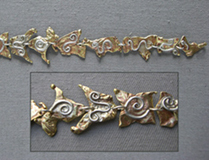 The sets are bezel or flush set. 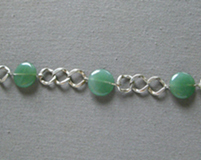 The size of your wrist is important in ordering a bracelet.